It seems that every time I turn around it is someones birthday. I love giving handmade gifts that I know will be appreciated and used. Every Mom needs a little me time, myself included on that list. I love to end my day with a hot shower and lavender aromatherapy. Yea, life can get crazy. of our home so play dates have not been as often as they had been. Even after we played cards, went to the mall, watched a movie. or “Mom, I am really bored.” Yes, some me time is in order. 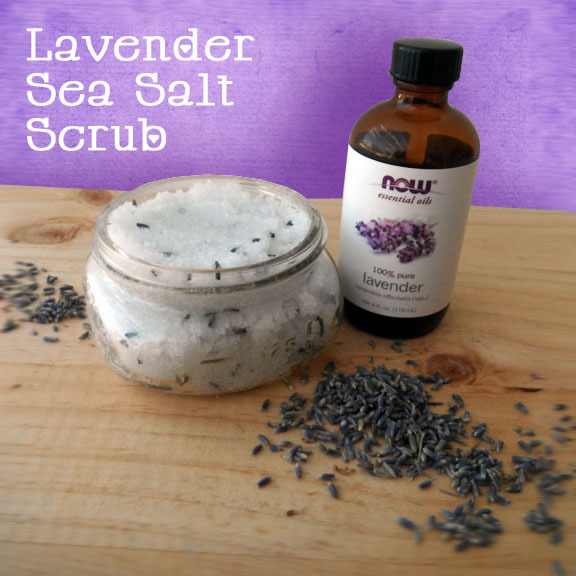 love the way my skin feels super soft after a gentle rub with this lavender sea salt scrub. nervous tension, promote relaxation and relieve pain. To make your own, first choose some containers. Old jelly jars, canning jars or plastic containers with lids. I am using 8 oz. half pint wide mouth canning jars. 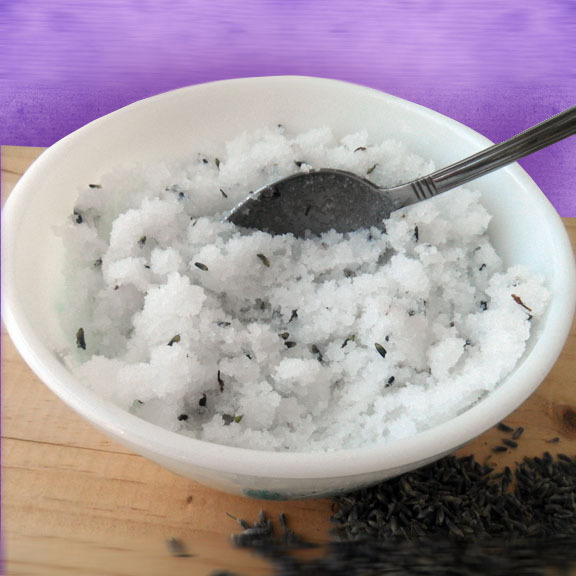 You can find the ingredients for this salt scrub at your local health food store. natural oil like sweet almond, avocado, or olive oil. 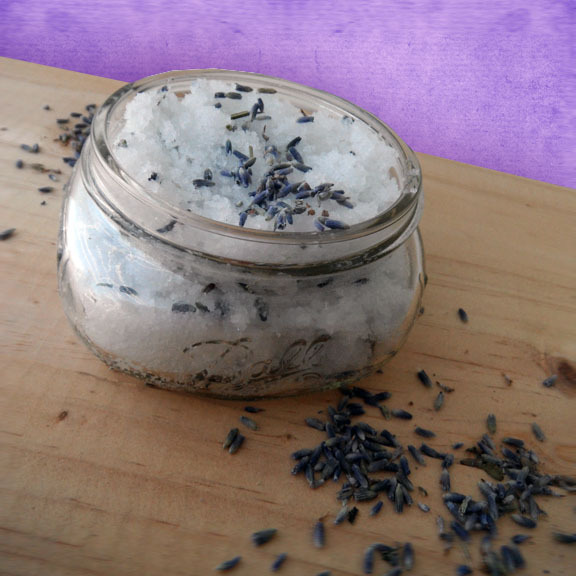 Simply mix all of the ingredients together to make this fabulous lavender sea salt scrub. Spoon your scrub into your container and whaa-laa you are done. I am going to use one myself tonight, the scent is absolutely heavenly. the pile of laundry, my endless “To Do List” and enjoy some me time. Wow, this sounds wonderful! And it's so pretty too. The funny thing is that when Destiny moves out and is on her own someday. I will miss those words, "Mommy, I am really bored". This sounds heavenly, I could totally use it right now. Visiting you from Whimsically Homemade! This so awesome and so easy to make, which is just my style. Ms Paula, thanks for this. 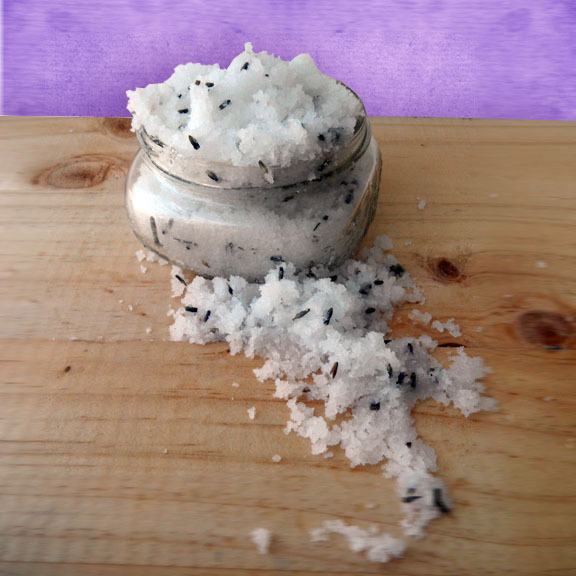 I'm throwing my 11 year old daughter a spa birthday party and this making this sea salt scrub is one of the activities the girls will do as a gift for their moms. I really needed this! Looks great and sound fantastic. My daughter has been telling me that I need to take some time to pamper myself and de-stress. Linking back to your tutorial and sharing. 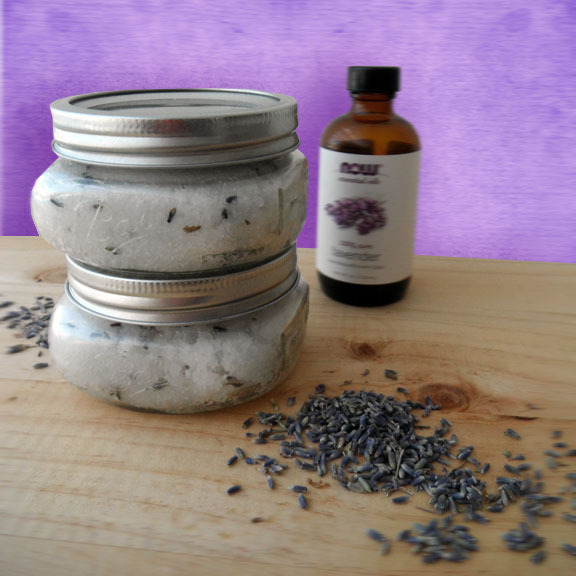 I love salt scrubs, thank you for posting yours! How long can it be kept? Is there anything we can add to prolong the shelf life to 6mths - 1year?